You are set up with a factoring company; you have been successfully receiving funding on your working capital, and were not expecting any difficulties. Your funding has been delayed - what happened? Our 3 common invoice factoring issues will explain why sometimes things don’t proceed according to plan, and how you can help prevent these issues from arising. These vital pointers will affect your ability to receive funding from your factor, so it is worth bearing all of these situations in mind. Before your invoice factoring company will consider advancing you the money on your invoice, the work must have been completed, or the product delivered to your customer. The answer is simple; don’t ever expect to receive cash from your factor until they have proof that the services promised have been provided in a satisfactory manner. 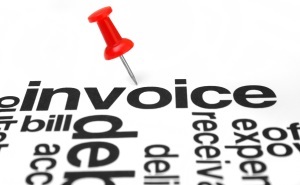 Once the product or service is complete you should have no issues with collection on your invoices. There are a couple of reasons your factor may refuse immediate funding on an invoice for products or services that have already been delivered. It could be that your customer has not been timely in payment to the factor, and therefore the outstanding balance is too high for the factor to consider payment on a further amount of money. While your factor will be actively involved in payment collection, your customer could still be dilatory in sending full payment. When you began to factor your accounts receivable for a particular customer, they may have had no credit issues, or they may just be slow paying on a particular invoice. A reputable factor will do everything possible to make sure this situation does not occur, and will also be in constant contact with you to make sure you are aware of the situation. The problem may also not lie with one particular customer, if your outstanding balance with your factoring funding company is too high they may consider holding payment. It is always worth discussing any situation with your factor to see if you can possibly negotiate for an increase in the amount they are prepared to offer. Alternatively, you may want to consider factoring invoices from a customer who is as yet not factored, decreasing some of the risk for your factor and increasing the level of diversity. Not sending payment directly to your factor. We recently explained the importance of a Notice of Assignment and how vital it is that all parties understand why this form is necessary. Your customers are required to send payment directly to the factoring company, and will have agreed to do so through the Notice of Assignment. In most cases, your factor will verify an invoice prior to agreeing to finance it, but if your customer chooses not to verify the invoice because they disagree with the amount or are unhappy with the level of service, your factor will not be able to release payment. These issues require you to maintain a great relationship with your customers even if you are factoring your invoices. The relationship between you, your customer, and the factor, is extremely important. Be sure to discuss this with both your customer and the factoring company prior to submitting any invoices for payment. While these are potential reasons for not receiving payment, it is worth remembering that a well-established factor will have experience in dealing with these situations, and is able to successfully interface with your customers on your behalf. Make sure and take the time to review these potential reasons for late or non-payment prior to contracting with your accounts receivable financing company.